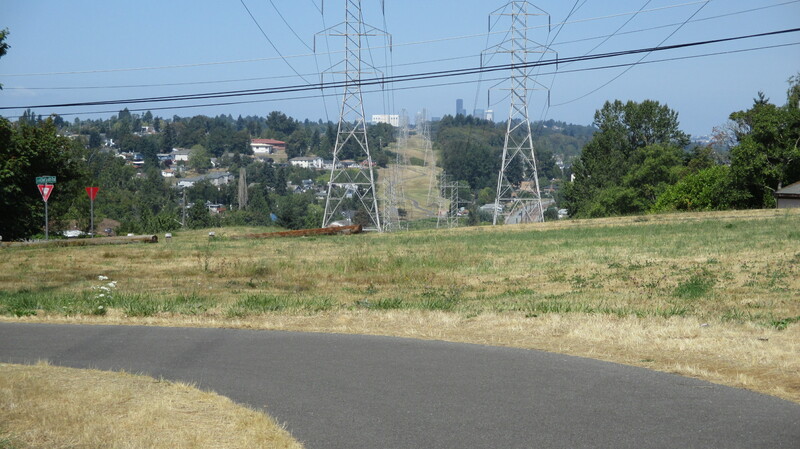 The Chief Sealth Trail opened in 2007 and runs through South Seattle, roughly from Beacon Hill to Rainier Beach, along a Seattle City Light right-of-way. 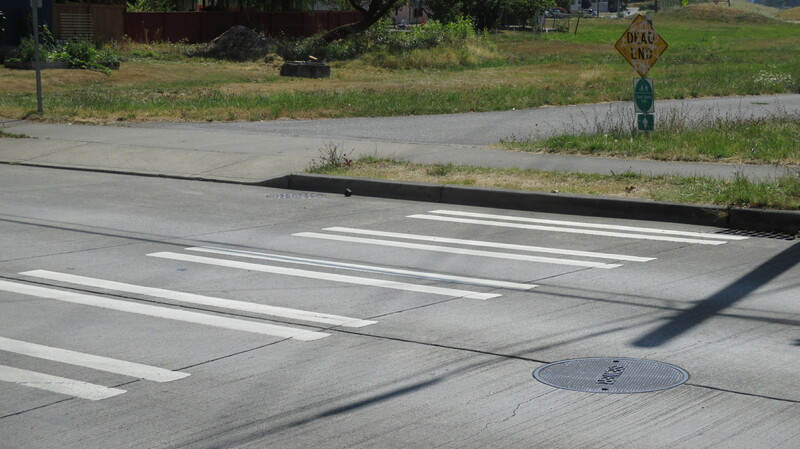 According to the SDOT page, the trail was built primarily from recycled materials such as crushed concrete from the nearby Link Light Rail project, and there are unfunded future plans to connect the trail to downtown Seattle. 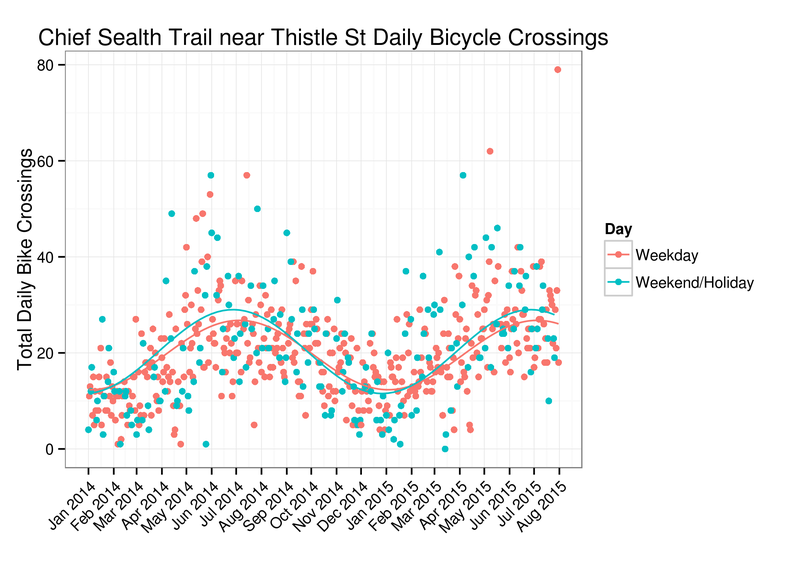 Since 2014, an SDOT bicycle counter has recorded trips along the Chief Sealth Trail near South Thistle Street, which is on the southern-ish part of the trail. Traffic safety in South Seattle seems to be a popular topic these days. Everybody has something to say about the Rainier Avenue road diet. 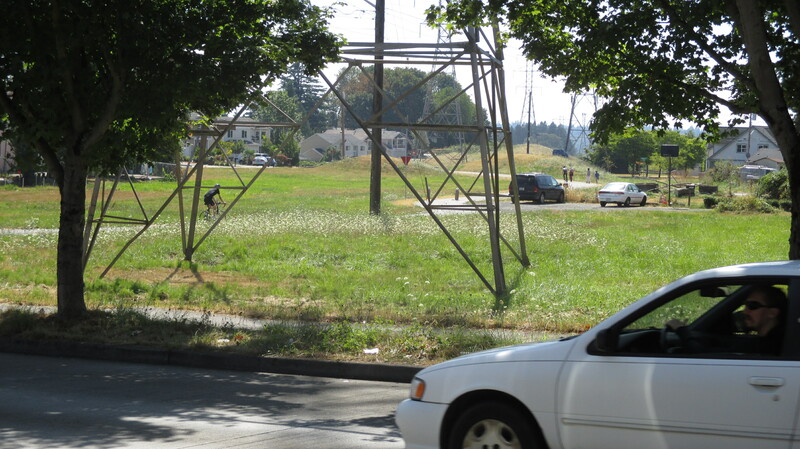 Chief Sealth provides one opportunity for safe non-automobile travel in South Seattle. So how many people use it? Two things bear mention before we get going: first, the name of the trail is in honor of Chief Seattle, a Duwamish chief from the 19th century and namesake of the city, and second, South Seattle has historically been home to non-white communities and people of modest income. I am preposterously unqualified to talk about the region’s treatment of indigenous people, and preposterously unqualified to talk about the socio-economic demographics of South Seattle. I am a white man and both live and work north of the Montlake Cut. If you are not a white man and have experience or commentary on bicycling in South Seattle we at Stats on the Street would love to hear from you! Whoa. There are not many recorded trips. Last time we looked at a counter on the Burke Gilman, that measured in the thousands. This counter measures in the tens. On average there were maybe 10 crossings per day in the winter and 30 crossings per day in the summer. There doesn’t appear to be much of a difference between weekdays and weekends for total traffic. This is also fairly stark. The morning rush on a middle volume day may be two or three people per hour. On a slow day in the winter there may be no morning traffic at all. We barely even pick up the weekday commuter morning/evening bi-modal distribution. Alternately, if you prefer animals to statistics, the commuters are the bactrian camel and the weekend recreationists are the dromedary camel. Regardless, it’s not unusual at all to see daytime hours with no bicycle trips across the counter. I actually removed one data point from the graph above. There was one hour that saw 60 bike trips — 58 north and 2 south — which is several times higher than other high-traffic hours. It happened on July 30, 2015 at 10PM. Anybody have any idea what that was? What would have involved a bunch of northbound bicycle trips on the Chief Sealth Trail later in the evening of Thursday July 30? UPDATE: This was probably a Point 83 ride. Fans of this series will remember that we typically fit a regression model with total daily bike counts as a function of temperature, rain, daylight, and whether the day fell within Bike Month. The “Estimate” is the estimated effect of that variable on daily bicycle trips, and the “p-value” is an estimate of the probability that we would see an effect at least that extreme if there actually was no relationship, and can be informative if you believe that p-values are anything but a bunch of nonsense. This all looks about right, just scaled way down for the low traffic of the Chief Sealth Trail. Each tenth of an inch of rain dropped off about one bicycle trip at S Thistle Street. The previous day’s echo effect of rain was “not statistically significant,” but I would guess that’s because the counts were just too small to see it. Interestingly there actually was a discernible weekday effect of Bike Month, with an additional seven crossings of the counter on average. 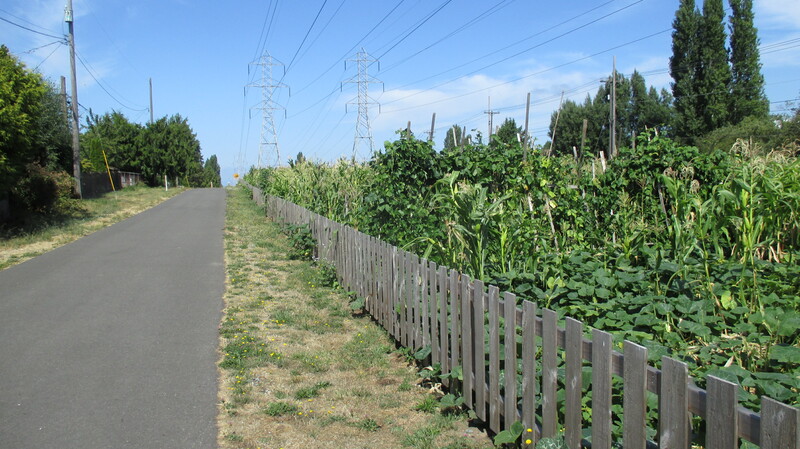 For the low volumes of the Chief Sealth Trail this is pretty impressive! Bike Month didn’t change the weekend trips at all. 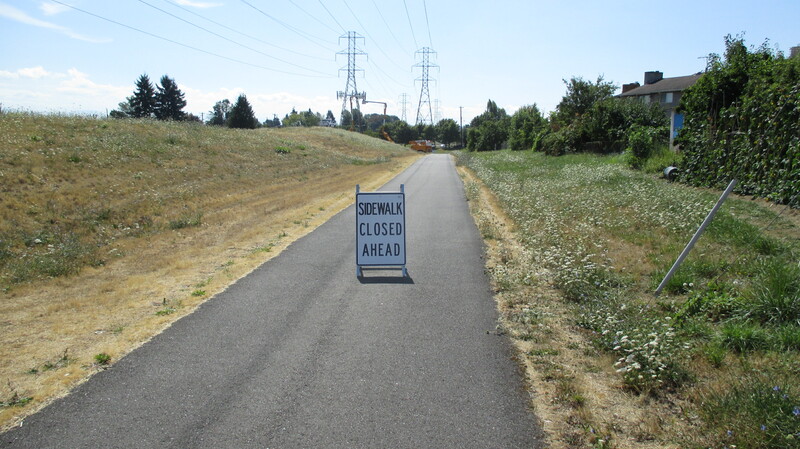 Well, the Chief Sealth trail is hilly, winding, lacks amenities such as benches or restrooms, includes many road crossings where cross-traffic rarely yields, and doesn’t really connect pedestrian friendly places or employment centers. I am of the mindset that any path for people on foot and people on bikes is by definition cool, but this one certainly appeals to a limited audience. The steep hills make this a route for the fitties, but the fitties also probably don’t want to mess around with the winding alignment and frequent stops for cross-traffic. I can’t imagine this being the most efficient route from anywhere to anywhere. It’s pretty, and a nice diversion of open space and (relative) quiet within the city, but evidently just doesn’t attract many users. 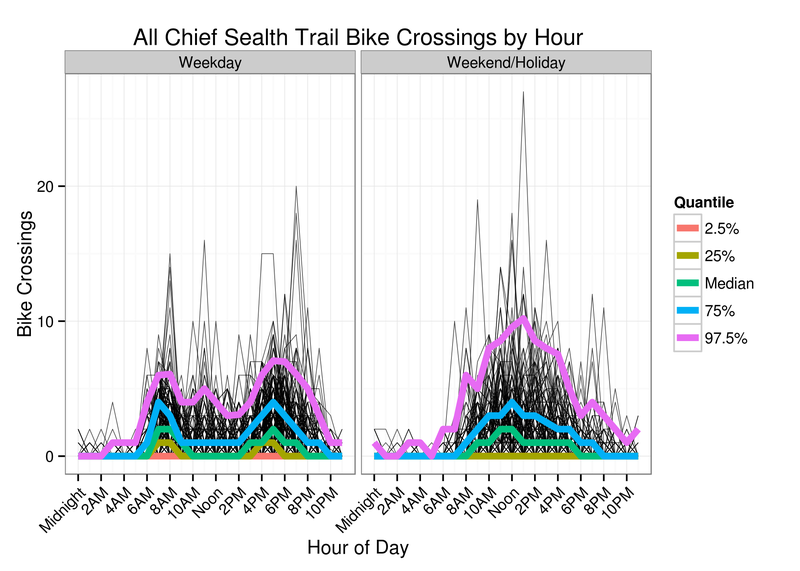 I mean, all we can really take from this data is that very few people bicycle along the Chief Sealth Trail near Thistle Street, although it wouldn’t be a stretch to suppose that very few people bicycle on the Chief Sealth Trail period. 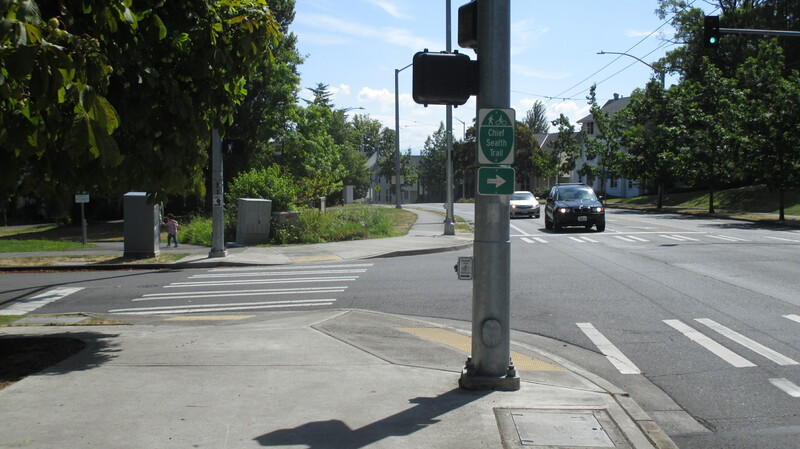 It may be that area bicycle traffic is simply much more diffuse in route selection, or uses nearby Beacon Avenue, or maybe people in the Rainier Valley often load bikes on the Link to short circuit the ride to downtown. It certainly doesn’t help that the trail sort of dead ends near Jefferson Park, and doesn’t easily connect to downtown. The Fremont Bridge from the preamble is a bit of an unfair comparison, because the Fremont Bridge is a choke point, caused by poor bicycle access across the ship canal in northwest Seattle. Nothing about the Chief Sealth Trail funnels bicycles from a large area, and in fact its meandering alignment might actively dissuade hurried commuters, while the steep hills probably dissuade anybody but the most fit people anyway. 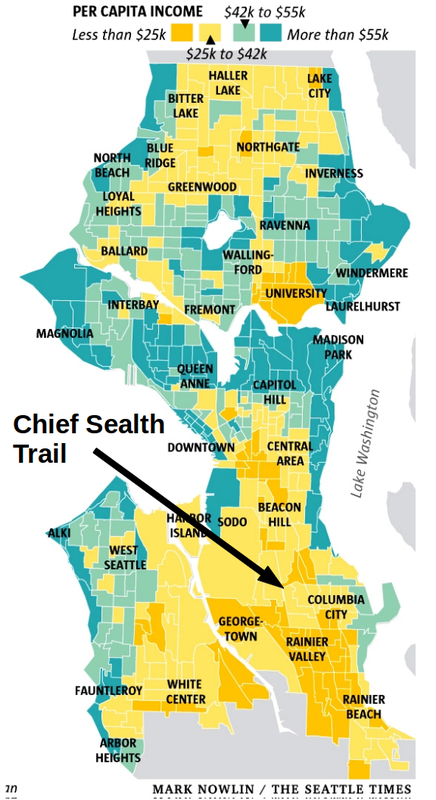 A Seattle Times income map from an FYI Guy column, with an added annotation for the general location of the Chief Sealth Trail. That’s pretty stark. I’m sure the cynics are screaming “Correlation is not causation”, which is a fair point. As an aside, statistics doesn’t really help much with causality, outside of a randomized, double-blind clinical trial. At the risk of upsetting some stats hipsters/credible experts, there’s a field of causal inference (not to be confused with casual inference. I’ve got jokes!) but it’s mostly smoke and mirrors, and I think at the end of the day you either want external context or a randomized trial. For example, we know that rain causes fewer bicycle trips. That’s not a case of unexplained or coincidental correlation. 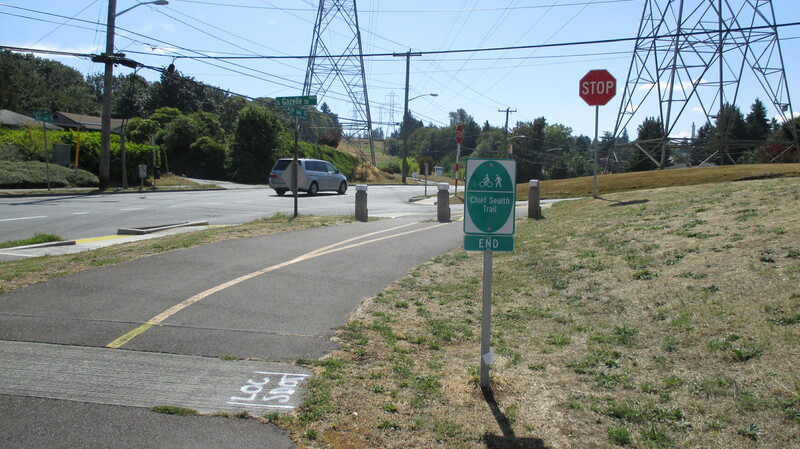 Without external context really all we can say is that the Chief Sealth Trail sees very little bicycle traffic, and it happens to be located in a lower-income region of the city. 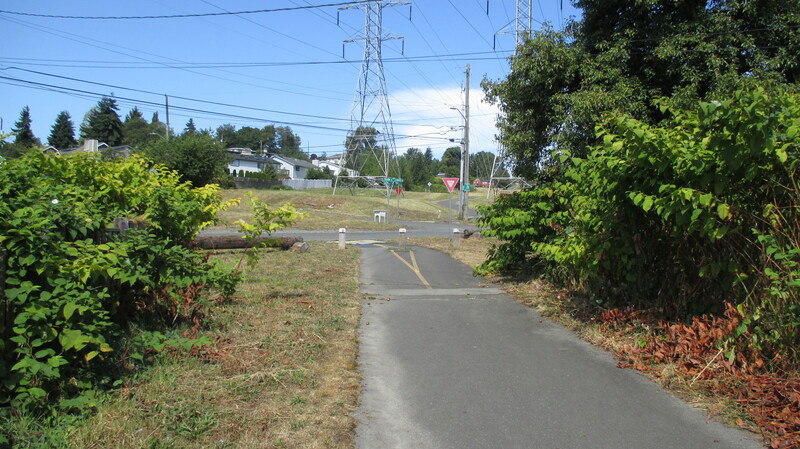 The main takeaway, however, is that there’s a beautiful, wide-open trail in South Seattle, just begging to be used. 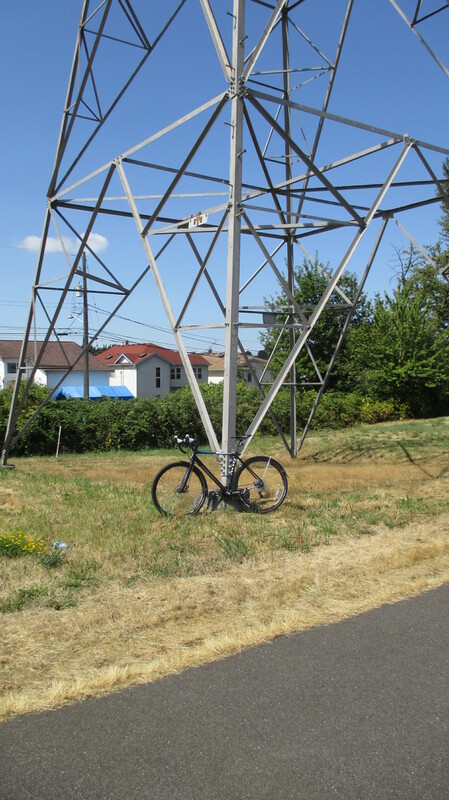 So if you can handle some hills and are looking for something to do after work or on the weekend, take a bicycle trip from Beacon Hill to Rainier Beach! Also, the location of this counter is an awful measure for trail use. It’s too close to the missing section south of Othello St. The trail is effectively cut in half, and while the north section isn’t super popular, it’s way more useful than the section south of Othello. I see people using the trail near Rainier Beach Station as a way to access the train, but that’s pretty much all it’s good for as a transportation bike route. I wish they’d put a counter up near Beacon Ave.
Chief Sealth is a power line corridor trail, which is why it’s so hilly. Power lines don’t care about hills. Bikes do. 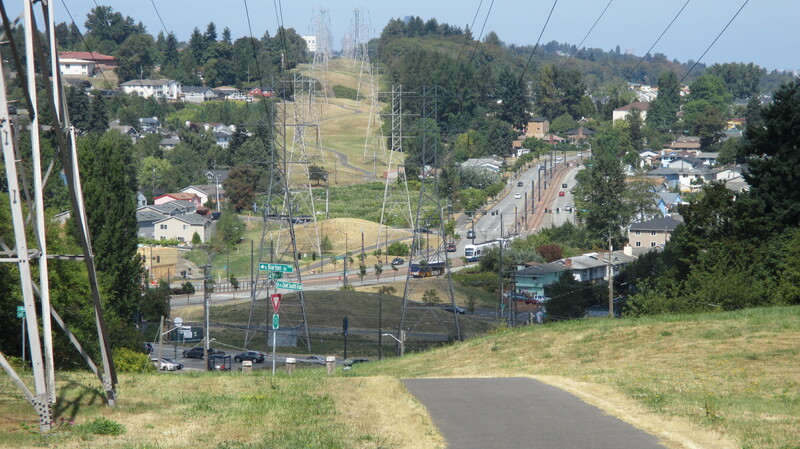 While a power line trail is cool for the reasons you name (relative quiet and fun hills), they rarely make for good bike routes (like you said, business discricts and dense housing don’t usually align themselves to power line corridors). I think people probably use the trail mostly just as a way to access their neighborhood or maybe for little stretches where it’s basically a short cut. But few people are really going to find it useful for long distances. There’s usually an easier and faster way to go. The trail looks good on a map, but not on the ground. I hope the city doesn’t look at it and say, “Well, that part of the city is well served!” There’s a lot more work to be done. Oh wow, thanks! That’s good stuff! I completely agree that it probably looks good on the map, but in practice just isn’t an effective bike route. SDOT has to be aware of this, though, right? Like, this is not a subtlety. Some of these bike counters record thousands of daily trips, and this one records 20, 30, maybe 50 on a really good day or none at all on a bad day. With the data from the counter — especially with its unfortunate location to make things look as sparse as possible — hopefully it won’t be acknowledged as an adequate solution. Well, maybe that’s an even better reason to add a counter (at least temporarily) north of Othello. If the counts are a lot higher, then that could be a good case for completing the missing section there. If the counts aren’t much different, then… I don’t know. Maybe it’s best to focus efforts and funding on more direct, flat and useful routes. Agreed that most riders I do see on the trail as a daily commuter are North of Othello. Probably because there are more riders coming up from Columbia City, just my theory. Also, the trail does continue past Beacon down into Georgetown, although it eventually merges onto streets before the overpass. I agree it’s a bit hilly, but it’s not much worse than any other route to Beacon Hill, plus it’s a 100 times safer and more pleasant than playing Frogger on MLK or Rainier Ave! I gladly give up a few minutes to take this trail rather than the alternatives. Wow! Crickets and the whispering wind on this piece of pavement. It’s twisty and has lots of crossings but how suitable would this be for multimodal use? Did you see anyone else out there on your recon ride? Anyone walking a dog? More specifically, is this trail suitable for roller skiing (i.e. if no one is on it, it’s a candidate location). Does the bike counter count roller bladers? Yeah, crickets is a pretty good description. When I was there last weekend I saw a handful of bicyclists, joggers, and walkers — a few people with dogs. I don’t know how the counter records roller bladers, but can’t imagine that many pass through there. It records pedestrian and bicycle trips separately. I can’t speak to suitability for roller skiing, but you mostly wouldn’t have conflicts with other trail users. Well, as a regular commuter on the Chief Sealth there’s a lot I could say here. But I can’t disagree with the fact there aren’t many users at this end of the trail. There are times I’ve looked at the counter when there was only one, and that was me! There are mornings when I don’t see a single other biker on the entire section from the Rainier Beach Station to Beacon Ave. I think the most I’ve ever counted were seven, and I’m on it almost every weekday. But I love this trail more than anything. 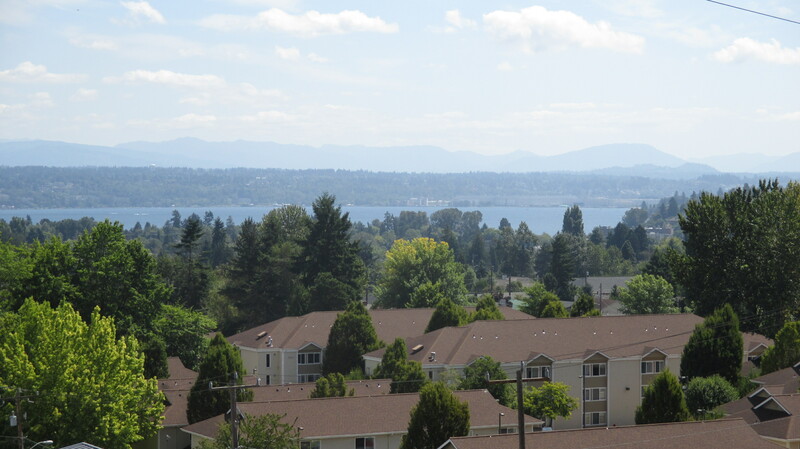 It’s quiet and peaceful with the rolling hills and views of Mt Rainier and Lake Washington. It’s smooth as silk without all the tree root hazards of other popular trails. People actually say “hi” to each other. There is more diversity than I see anywhere else in the city and there are always some happy familiar faces as I’m pumping up the hills. There aren’t a lot, but there are people jogging with their dogs, doing morning Tai Chi, walking to the pea patch, I even saw a man transporting a plated glass door one time. Seemed a bit dangerous, but more power to him! 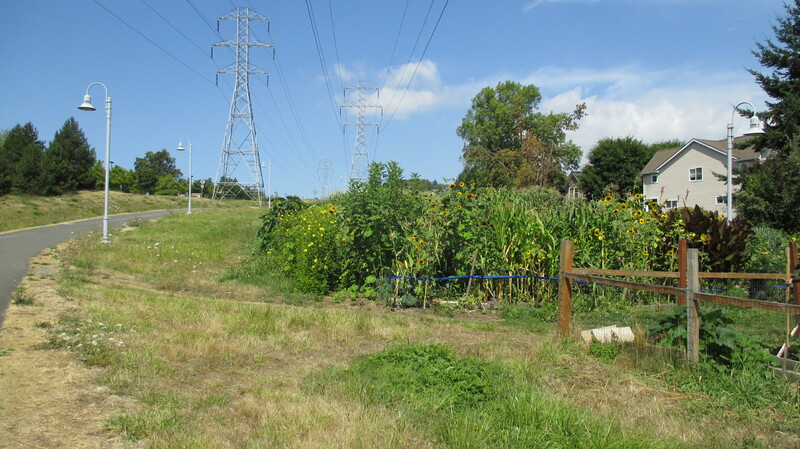 This trail does serve the community, which is what it’s really about. If this city is truly about providing services and opportunities for everyone, including those of lower income and opportunity, then we shouldn’t have to justify this trail with pure numbers and other stats alone. Maybe we don’t have as many who can afford bikes and the time to make use of this trail, but by providing this opportunity and looking at the future, it’s at least a step toward a more accessible and healthy city for all, not just the wealthy and elite. Take a look at a city like Bogota. We may not have as big a voice down here in the Southend, but we are no less deserving of at least some of the infrastructure improvements. Come on down and check it out, maybe extend your recreational ride to include it. I’d gladly show anyone around, I’m actually quite proud of it! I sure hope you’re right! Seems like a lot of people don’t think the same way as you though. 3. The hills provide diversity for our commute. And let’s face it, there’s a ton of hills in Seattle, so may as well get your body in shape to tackle them. On this fourth point, I want to add that during my daily commute I pass dozens of people of very diverse backgrounds. Retired Asians getting their exercise, parents biking or walking with their kids to school, local residents walking their groceries home and other cyclists. The reason your data is not counting these folks is the fault of the BIKE COUNTER’S LOCATION. They put it at the far south end of the trail, and most of the trail users do not go that far south. I second what others have suggested: we need an additional counter north of Othello. I wish your article was celebrating the fact that this trail was created and that you found a way to encourage more southend bike riding. I also hope that you can use your blog to advocate for adding a second bike (and walker) counter north of Othello so that the data is more accurate. We all know that funding to finish the trail into Downtown will never happen if they don’t get accurate stats about the real value the trail provides us. Here’s to more people loving biking in South Seattle! 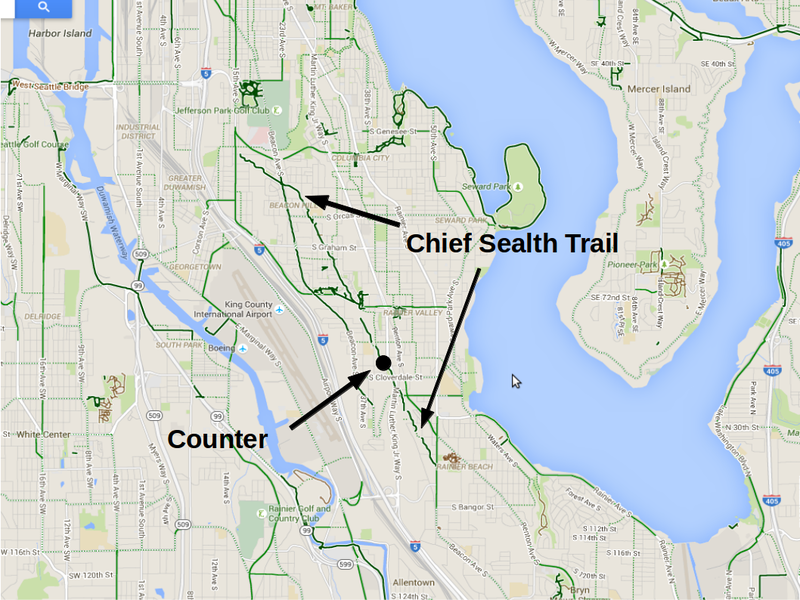 Long live the Chief Sealth Trail! Thanks for sharing! Those are great points. I especially like the contrast with the Burke-Gilman. For a year I lived in Ballard and that choppy stretch by the Fremont Bridge literally rattled a fender off my bicycle. Reading back through the original post, I suppose some of the tone may come off as a bit negative. Mostly I think I was struggling to piece together how this wide open trail in such good shape could see so few recorded bicycle trips. The consensus certainly seems to be that the counter location paints the worst possible picture of trail usage. If/when I revisit this material I will certainly advocate for a more representative counter location and obviously better southend bike infrastructure. More broadly, it’s been great to hear from people who love the trail. This is an interesting case where just looking at numbers in a spreadsheet probably doesn’t fully reflect the reality of the trail, and of demand both current and latent for bicycling in South Seattle.